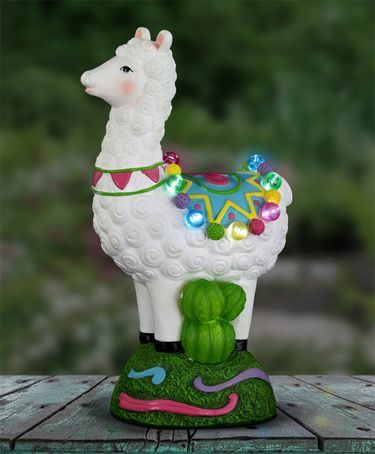 Add some colorful fun to your garden with this festive solar llama statuary! Watch as the solar powered LED light illuminates this adorable statue from within, highlighting the beautifully hand painted details. Solar powered LED light provides a decorative glow at dusk! Made of durable resin, UV treated to resist fading. Size: 7" x 4.5" x 12"H., approx. 3 lbs.